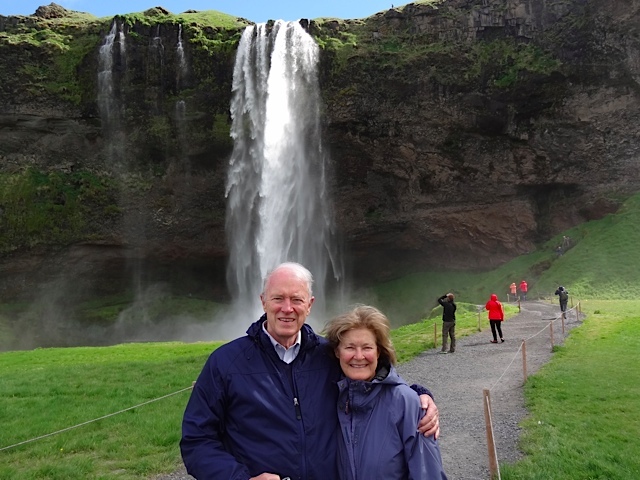 We feel pretty proud of the good work we do here, so when we get nice notes from clients letting us know we exceeded their expectations – and sent them to an up-and-coming destination (Iceland) – we decided to share the good word. Hope you don’t mind! Thank you for everything you did to make our vacation to France and Iceland one of the best vacations we have ever taken. The entire adventure went like clockwork from arrival in France to arrival back in Denver. All of the hotels provided a wonderful experience, on-time train travel was great, and, as you already know, Viking provides a fantastic experience. We even took your suggestion and befriended a bartender who took very good care of us. Iceland is a country beyond belief. Waterfalls, glaciers, beaches like we have never seen before. Also . . . wind. The only drawback is that these sites are far apart and accessible only by narrow roads. Having only four days limited our ability to even begin to see the country. Its also expensive but the people are are extremely friendly and helpful. The Reises and Cochrans owe you and the staff at Town and Country Travel a big “thank you”. We couldn’t say it any better than Jim and Maureen. We appreciate all you did to make our trip an unforgettable experience. You even ordered up PERFECT weather! Yesterday, while waiting for our planes for our return home, we were talking about how even after 15 months of waiting for this trip to begin and our excitement growing daily, that this adventure still exceeded our every expectation. This entry was posted on July 10, 2015 by townandcountrytravel in Recent Journeys, Testimonials and tagged dream trip, France, Iceland, Iceland waterfall, off the beaten path, Viking river cruise.